According to charity Anxiety UK, 1 in 10 of the world’s population suffers from aerophobia, the fear of flying. But with so many exciting destinations at the end of that flight, many will continue to put themselves through the ordeal to experience glimpses of the world. Allow us to put the ‘relax’ back into ‘sit back and relax’ with our tips on how to conquer your fear of flying. To determine what advise will give you the best resolutions of peace of mind as you jet off, consider where your fear stems from. Generally, those suffering with aerophobia fall into one of the following two: fear of external factors like turbulence and issues with the plane, or an individual with pre-existing mental health illnesses like anxiety. Once you’ve figured out the reason you’re afraid of flying, fliers will be better equipped to find the solution that works for them. Maybe it sounds obvious. But even for passengers not fearful at the prospect of flying, going to the airport can still bring about a feeling of dread. It’s overrun with other people and there’s the potential for a lot of queueing. Rarely would you relate airports with thoughts of peace and tranquillity. However, by being prepared means avoiding those extra stress factors. Upon arrival, ensure you know exactly where you’ll be safely parking your car for the period you’re away. Advance bookings at Parking at Airports not only offer peace of mind, but a great deal too. Costing anywhere from £3-5, fast track security can be the difference of an up to 10.8-minute wait at security, according to official government statistics for 2016. Priority boarding also means avoiding the rush to gates and getting settled on board before everyone else. Lounges may be something to consider, taking you away from the chaos of airport departures. They allow you to leisurely wait for the departures screen to switch to ‘boarding’. Help yourself to refreshments and find a quiet, comfortable place to sit where you can gather your thoughts before take-off. Having a positive mindset from the word go really can do wonders to your outlook. Plan to indulge at the airport and really make a day of it. Have a slap-up sit-down meal and a glass of wine to take the edge off. Having a drink can release built-up tension. What’s more enjoying good food and drink with a companion will preoccupy the mind. Now, hear us out. We’re not suggesting drinking in excess. Alcohol works in mysterious ways and by getting absolutely bladdered, there is the potential to simply heighten worry. It may even assist in making passengers dozy, meaning you could sleep through the entire ordeal. If you suffer from anxiety, however, know your triggers and avoid alcohol consumption if it hinders rather than improves anxious spells. Whether through sweets, sprays, or tablets, Rescue Remedy may be your saving grace to get you through the flight. With reassuring qualities, the ingredients of flowers help to put your mind at ease. They are commonly used for flights, as well as examinations and interviews. There are other herbal remedies out there that may be better suited and more effective to your needs. Approach retailers like Holland & Barrett and seek advice on what products can assist in easing your worries. If you’ve been diagnosed with anxiety, or suffer from a more severe fear of flying, go to your doctors. They can provide expert advice and may even give you a prescription to help with your phobia during flights. 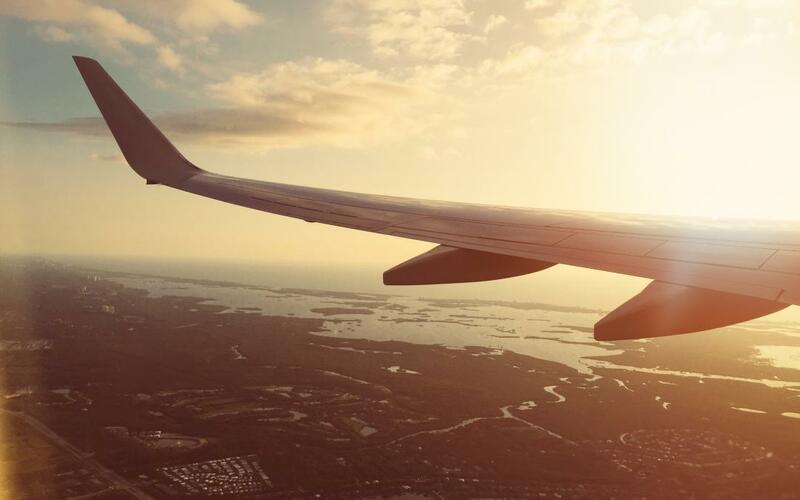 For anxiety sufferers, mindfulness isn’t be a foreign concept and could be one of the best ways to conquer a fear of flying. Mindfulness for someone fearful of external factors can be checking in with the facts, like that cars are 100 times deadlier than aeroplanes, or that turbulence hasn’t been known to ever cause a crash. However, those with anxiety are less sedated by such statistics. Mindfulness is about understanding your body and its responses. The former director of the Oxford Mindfulness Centre, Professor Mark Williams stated, “It’s easy to lose touch with the way our bodies are feeling and to end up living ‘in our heads’.” You can download apps to your smartphone to help with mindfulness, such as Headspace and Calm. Each app is different, offering ways to practice mindfulness, including breathing techniques, meditation and audio sessions to coach you through your anxiety. A fear of flying comes from an anxious place, sufferers are probably being held back in other ways in life due to poor mental health, too. Depending on the severity of your situation, it may be worth looking into courses. You could look to consulting a doctor to be referred for counselling. For those who just need a boost, companies like Unleash Your Potential offer Neuro Linguistic Programming lead courses. They look to boost your confidence and encourage you to chase your dreams. NLP courses brings together the way we think, language and our learned behaviours. It takes these and shows us how we can use these to mould a fresh, new outlook on life. Through hypnosis, time line therapy and other courses, you can overcome issues like depression and phobias. If it’s good for avoiding the kids constantly asking, “Are we nearly there yet?” every five seconds, it’s good enough to distract your anxiety riddled mind. Even for short haul flights, come equipped with a loaded tablet. Whether books, music or something to watch, ensure you have entertainment that can take you away from the present. During take off and landing passengers may not be allowed to be plugged in as these are critical periods. For the rest of your flight, transport yourself far away from the clouds. There are a lot of ways to ease your mind when flying, from mindfulness to distractions. Focusing on the origin of your own personal anxieties is the first step to conquering your fear. By doing this, you can find your own personal preference on what works to keep you feeling calm and safe. Maybe it really is as simple as taking yourself away from the chaos of the airport. However, seeking medical attention could be the step towards not only fighting your fear of flying, but other life anxieties, too. For more tips and tricks, keep reading the Parking at Airports blog for our helpful advice when flying.